You may know kaizenprint.co.uk for our high quality leaflet or roll up banner printing, but for many of our clients we’re primarily known for Booklet Printing Belfast. As one of Belfast’s leading digital printers we are of course specialists in all manner of print, both large and small format. Coupled with our investment in the latest booklet finishing equipment we have attained a fantastic reputation for the design and print of the best booklets in Belfast. 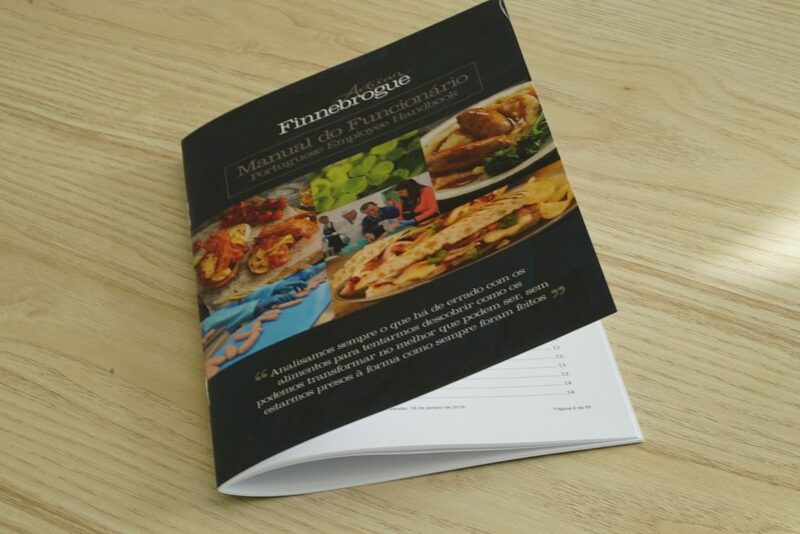 Some of you may order booklets regularly and will understand what the terms pagination, saddle stitching and perfect bound may mean, but we appreciate many of our clients don’t order booklets regularly and so we’ve put together this post to guide you through the many options available when printing booklets for your business or organisation. If there’s something we don’t cover in this document, please do not be afraid to pick up the phone and speak to our team. It’s our pleasure to help you with all your print requirements. Being Northern Ireland, there’s nowhere too far for our delivery team to deliver. From Belfast City Centre right up to the North Coast or down to Armagh, we serve the entire country with with high quality brochure printing. One of the most common questions we’re asked is with regard the size of a booklet. Thankfully we offer 3 main sizes at kaizenprint.co.uk, of which we’re sure to meet your booklet needs. They are A5 Portrait, A5 Landscape & A4 Portrait. We do offer bespoke sizes on request but we find the above sizes provide the most cost effective booklet printing options as these sizes fill our SRA3 sheets fully without waste. Pagination equals the number of pages in your booklet. When writing your content, the number of pages you use in word will give you a rough indication of the length of your booklet. However when we bring this into our design studio, adding imagery and text styling this may go up or down. Booklets must be printed with a pagination or page count in multiples of 4. This is because when we collate and fold the sheets within a booklet for stitching, the fold create a front, back, inside left and inside right of a sheet (4-pack). Collating multiple sheets together and stitching them, we create a booklet. What paper should my booklet be printed on? We offer 2 main types of paper for our digital printed booklets. However the most common paper for printing your booklet would be a silk paper. By buying this paper in bulk, we’ve been able to keep our booklet printing cheaper than our competition in Belfast. Speed of printing – digitally printed booklets can be printed in days rather than weeks. Shorter print runs – unlike litho printing, digital printers can print short runs from as little as 1 copy. The cost per unit does decrease as you print larger quantities and we find 5000 as the break point between digital and litho printing. If you want to order booklets for your next project we’d be delighted to help in any way we can. Simply get in touch with our customer service team or order online via our booklet printing page.